Back at Old Trafford following three consecutive victories, United host Wolves in what should be a tactically intriguing clash. Portuguese managers José Mourinho and Nuno Espírito Santo are on vastly different career trajectories and boast thier own individual qualities. The contrasting styles of play between these two teams could collide in spectacular fashion. Operating in a 3-4-3 formation, the key to any success for Wolves so far this campaign has either been their Portuguese duo of Joao Moutinho and Ruben Neves in midfield pulling the strings or their direct wingers Diogo Jota and Adama Traore using their blistering pace to create chances. As the focal point, 27 year-old striker Raul Jiménez has had a decent start to life in England but is definitely a player yet to reach his potential shown a few years ago; however he can sniff out a chance in and around the six-yard box well. Transformed from midfielder/full back to centre half last season, commanding captain Conor Coady has been a revelation in a three-man back line and will be vital if his side are to come away with anything from this encounter. 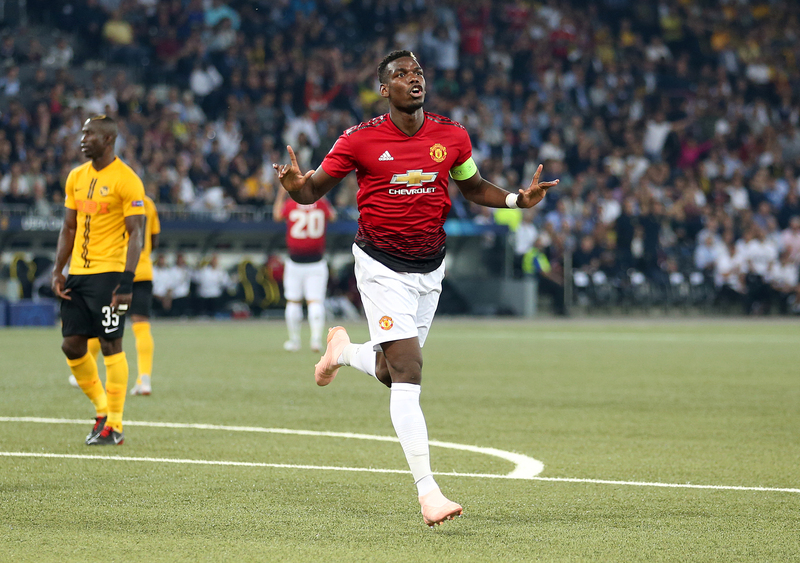 A comprehensive Wednesday evening victory over Young Boys in the Champions League will have boosted confidence in the camp ahead of this tough fixture but returning to Old Trafford should also help morale. Momentum has been gained from three away wins on the bounce and the same outcome again would be beneficial with a cup tie at home in midweek to rest key players. Diogo Dalot impressed on his debut in Bern but Antonio Valencia is likely to return to the starting eleven due to the Portugal youngster confirmed to start next Tuesday and not for this one. Conceding just one goal in three away battles, Victor Lindelöf and Chris Smalling should keep their places but Eric Bailly might come in if Mourinho opts for a 3-4-3 to match his opposition. Phil Jones is available after a hamstring injury he sustained in the last match at Old Trafford almost a month ago. Marouane Fellaini is expected to start in his new pseudo-centre back role alongside Fred and Paul Pogba in the middle of the park. Jesse Lingard and Alexis Sánchez did not feature on Wednesday night so will be anticipating returns to the lineup here.